Project Valley: Samsung's New Bendable Smartphone? It is no secret that Samsung has been working on a bendable screen for about two years now and we even saw some demonstrations by its local rival LG at some press events however recent reports claim Samsung has a product launch aimed at January 2016. The bendable smartphone, code named “Project Valley” would therefore be launched just before the Galaxy S7. It is quite likely that Samsung would launch this bendable device alongside the S7 as a variant of the flagship, similar to how the Galaxy Note Edge was released. The anonymous reporters claim that there are two models of this bendable device in the pipeline, one running on the mighty Snapdragon 820 chip whilst the other is rumored to be powered by a Snapdragon 620. Both devices are said to come with 3GB of RAM and microSD card support. The same insiders refrained from revealing details of how the phones would be constructed or even how they would look and function. The “Edge” concept by Samsung was a resounding hit in its second iteration but in reality offered little more than petty convenience (though I must admit the “Edge” looks spectacular). 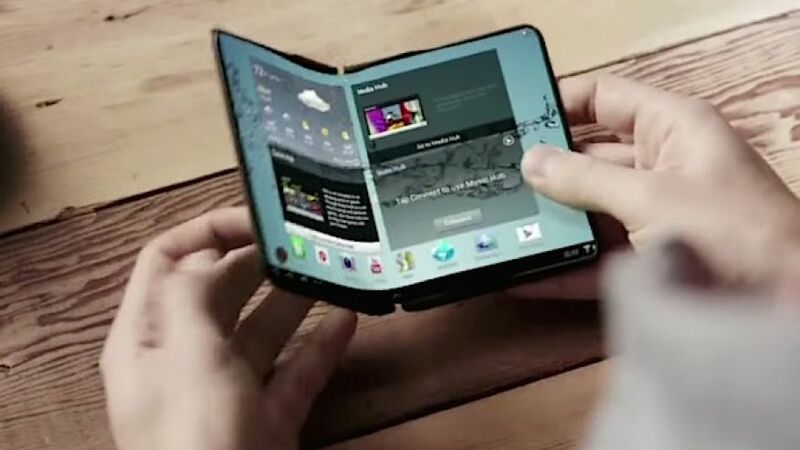 A bendable smartphone with a flexible display could have some very useful real life uses. For example, a bendable smartphone would allow you to comfortably carry your device in any of your little pockets without worry of any permanent bending damage (ahem Apple). Other than that, portability could be improved upon. Flexible screens in general have a lot of handy uses but when put in a smartphone, the folks over at the design team will have to be very creative about execution. We can not wait to see what Samsung ends up doing with this flexible screen in the coming months, this could actually turn out to become a very large leap in the world of mobile technology. Keep your eyes open for more news on this exciting idea.